Maui is a gorgeous island in Hawaii, and one of those spots that I’m pretty sure you’ll love. 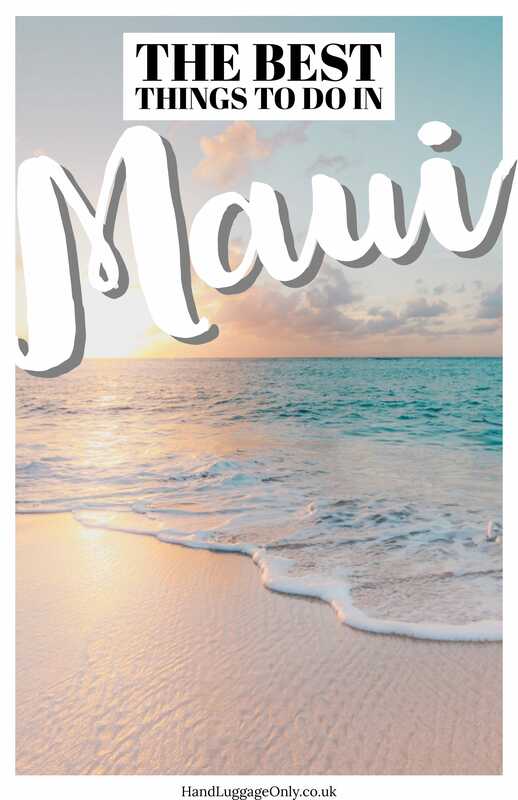 There’s a whole heap of things to do in Maui, with everything from hiking trails, gorgeous drives, stunning beaches and plenty of good food! It’s one of those islands that seems to just fit around your own pace. Over the last 8 months, we’ve visited Maui twice and loved both of our visits (plus we lucked out with the weather). That’s the thing, with loads of things to do in Maui – it’s actually hard to dislike the island. 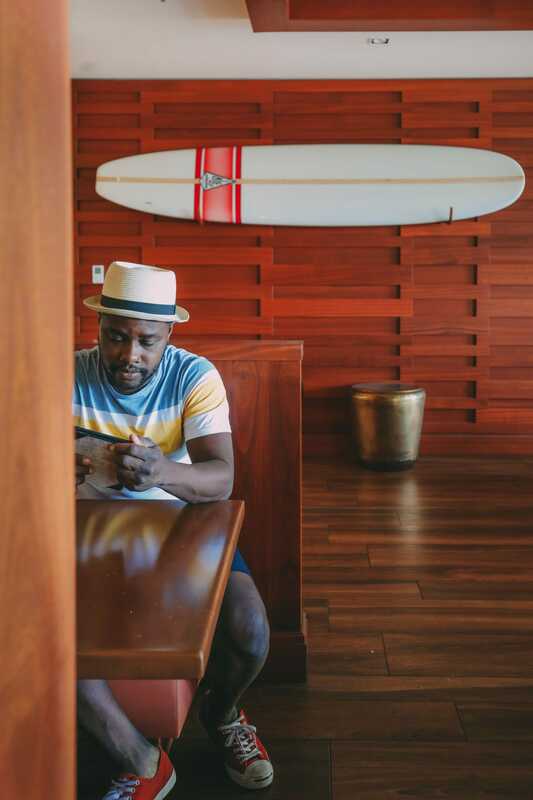 This is why I wanted to share some of my very favourite things to do in Maui from all across the island. Some things will take a few hours or even a day. Take a look at some of the very best things to do in Maui. You’re going to have an amazing trip! As with any island adventure, you’ll need a little preparation of things to take before you go. 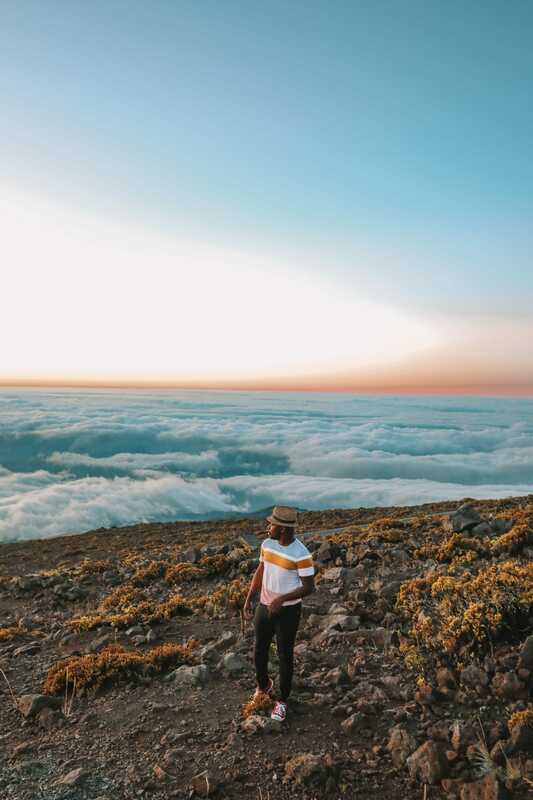 That’s why I wanted to share some top things you definitely should be taking on your trip to explore the natural beauty of Maui. Thule Covert DSLR Rolltop Backpack: When you’re hiking, you’ll quickly realise how important a good rucksack is for supplies and the things you take with you. 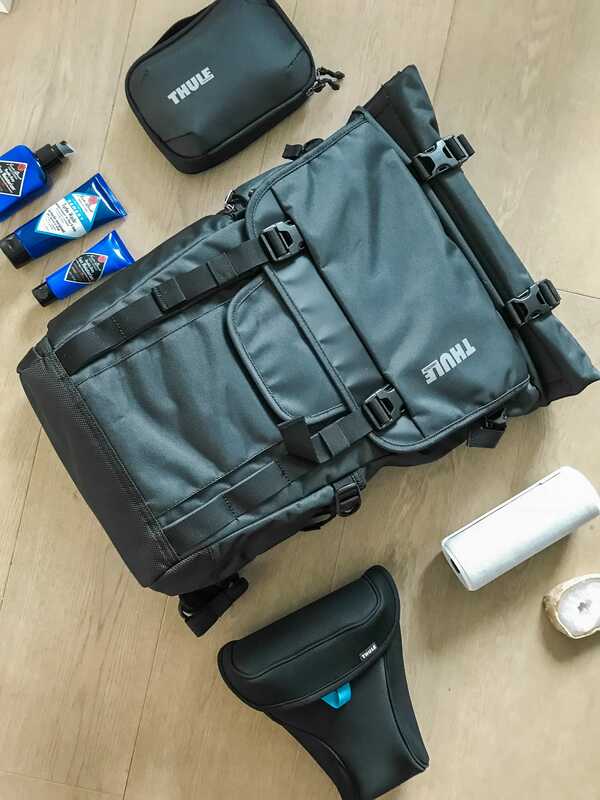 We’ve grabbed ourselves the Thule backpack that completely stores our DSLR, Drone and all our chocolates! Yes, I pack chocolate for hikes. Ha! Best of all, this rucksack has hidden stash pockets and is waterproof too. It totally helps when you’re hiking in unfamiliar terrains and weather systems. We literally got soaked on our hike but the bag totally kept our DSLR nice and dry. Coat: Some of the terrains in Maui are high! Like, really high and it’s almost freezing in some parts. 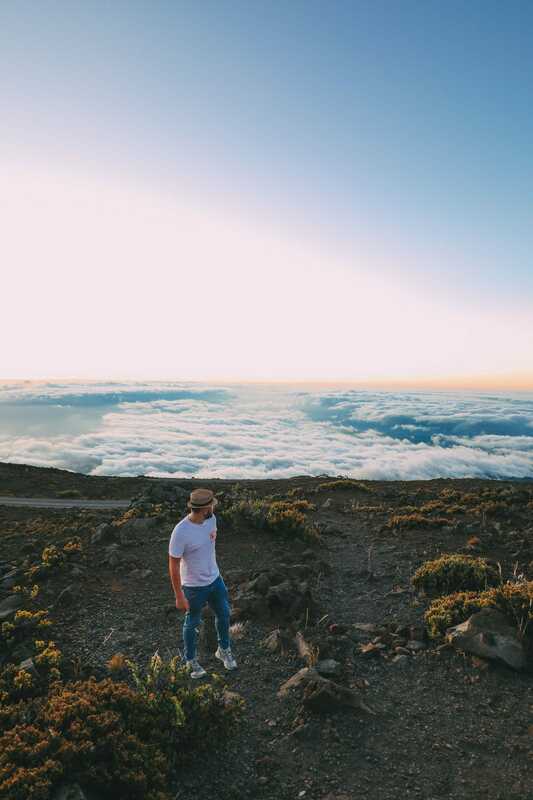 Make sure to pack a coat that’ll keep you nice and toasty at places like Haleakalā. Thule Lithos Backpack: This is one of the other bags we swear by! The Thule Lithos backpack is much more streamlined and smaller than the rolltop backpack making it perfect for a day exploring the little towns around the coast. This is our go-to backpack for day trips that don’t require lots of supplies. It easily fits in all my goodies and DSLR, alongside fitting with cabin baggage rules on nearly every airline. Sunblock: Trust me, buy yourself a factor 50 and dip yourself in it! The sun is strong in Maui and it can be easy to get burned or overly exposed to the sun when the wind is keeping you cool. This is particularly important if you head out on a boat/catamaran. Also, make sure to buy sea-friendly sunblock that doesn’t damage the local ecosystems. Camera holster: Another thing I’ve found really handy when exploring is the Thule DSLR Camera Holster. This is one of those things I didn’t think I needed until I had it. Now, I use it on most trips! Rather than grabbing and packing my DSLR away every other minute, the holster snaps right onto the belt of my pants and keeps it hoisted on my waist. It’s really handy for those moments where you need quick access to your camera all without it hanging around your neck (which I swear gives me repetitive strain from the weight of the DLSR). 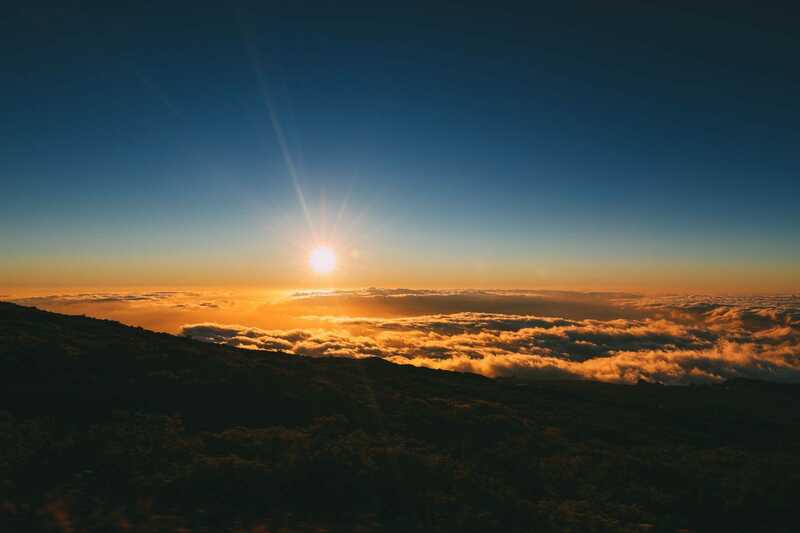 So, one of the best things to do in Maui is to watch the sunset from Haleakalā National Park. 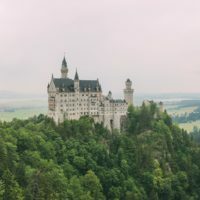 Now, you can either hike (if you’re feeling fit) or drive (which takes around 1 hour from the base), either way, give yourself plenty of time. I guarantee you’ll stop multiple times on the way up… especially when you start to rise above the clouds. You will need to pay the entrance fee to the park itself, but this can be done at the gate when entering. Oh, and make sure to take a warm coat… trust me, it gets proper chilly up here! Now, you can also head to the summit for sunrise too. 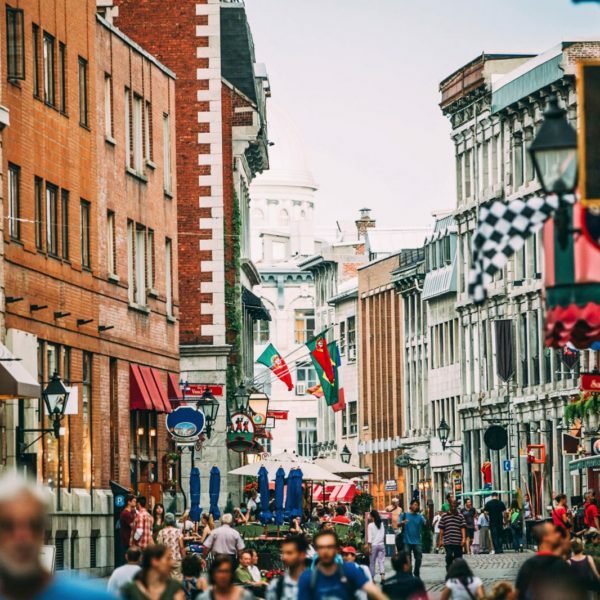 For this, you will need to book online beforehand and make sure to wake up around 3 am. To be honest, I’m not naturally a morning person but the sunset was just incredible and I would always recommend this. Though, if you’re an early-riser, pop up! Before we visited, we were warned about the road to Hana being quite narrow and long. To be honest, after living in Scotland and Wales, the road is pretty much the same as some of the Highland roads and quite easily navigated if you’re used to winding routes. That being said, if you’re used to more straight and wide roads, you might find this a little more challenging. Now, there’s a whole heap of things to do in Maui and particularly on the road to Hana. Along the way, make sure to stop off at Twin Falls (see here on Google Maps), have a Braddah Hutts BBQ and some yummy banana bread. 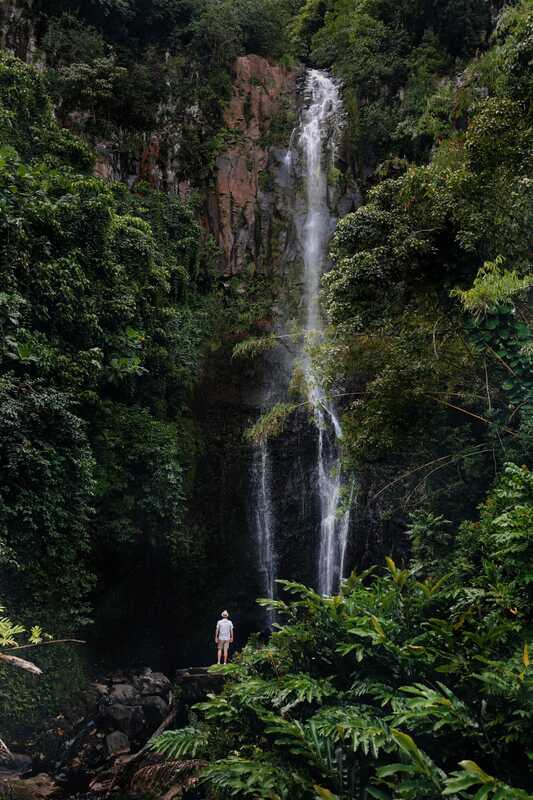 Oh, and don’t forget to stop off at Wailua Falls (mentioned below) and the Bamboo Forest! We’ve driven the road to Hana twice and on the first time, we drove back the way we came (once reaching near Hana). The second time, we headed around the whole loop. One thing to note is that the road does become a gravel travel at some stages after Hana and can be much slower. Plus, it’s not always covered by your rental car policy. 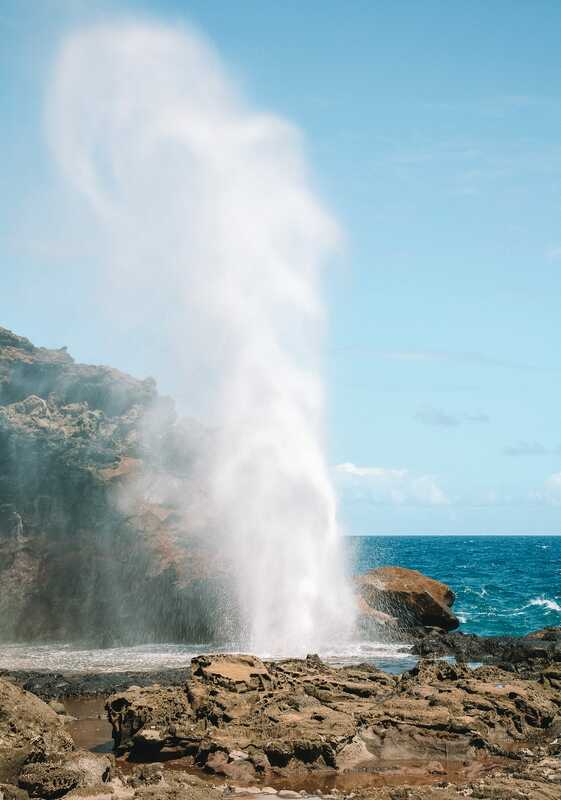 On the easterly edge of Maui, beyond the Kapalua, you’ll come across the Nakalele Blowhole that’s around a 15-minute scramble from the road itself. Now, I say scramble as you will be going down the mountainside and the route isn’t paved. This means it can be a little precarious if you’re wearing sandals of flip-flops. That being said, once you’re here it’s lovely to see and one of the things to do in Maui when you’re on this side of the island. Just be sure to stand a safe distance from the blowhole, it’s very dangerous to stand close as you can be sucked in. 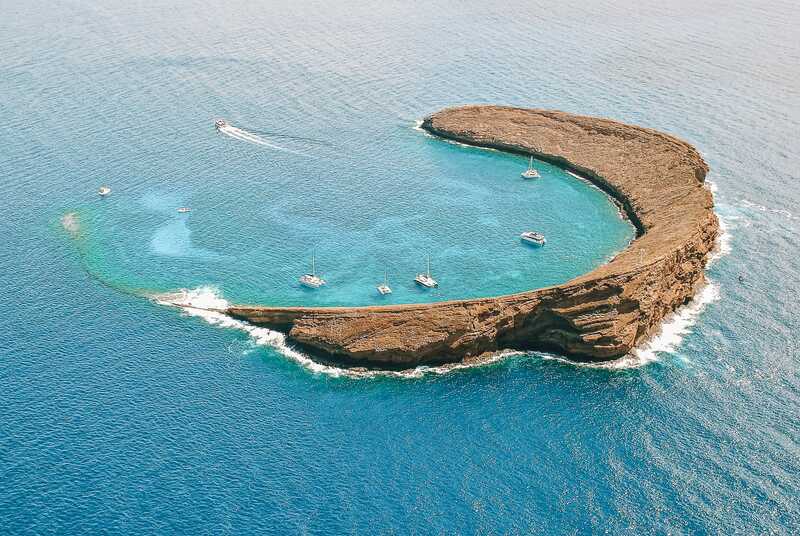 The uninhabited Molokini island sits just off the shore of Maui and is actually one of the old vents from the main volcano on Maui itself. Today, it’s a tiny little semi-circle island that’s amazing to visit! 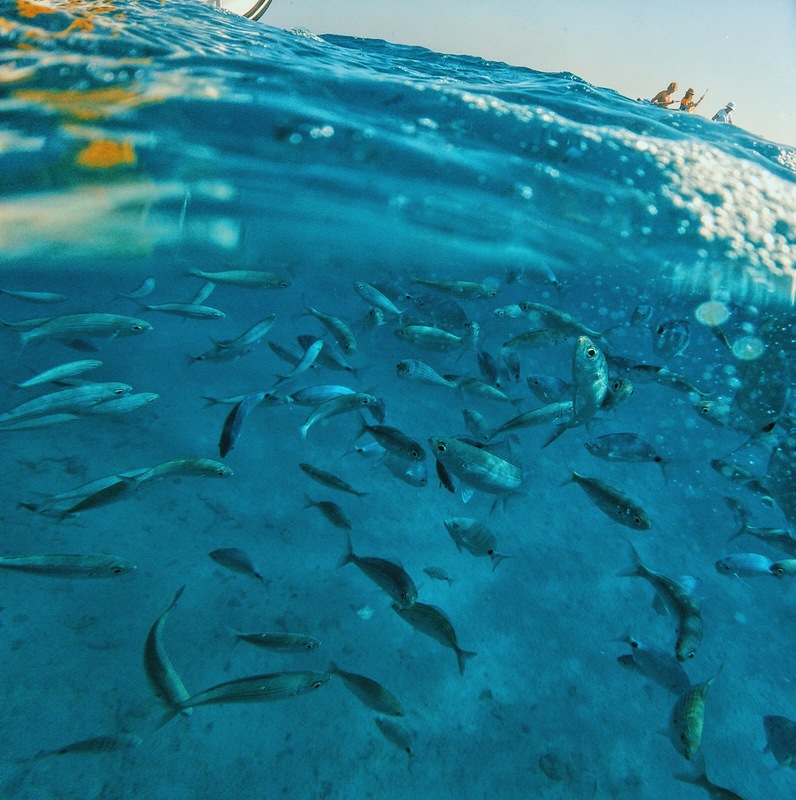 Now, you won’t be able to go on the island itself, but you can hop on an excursion to go snorkelling in its bay. 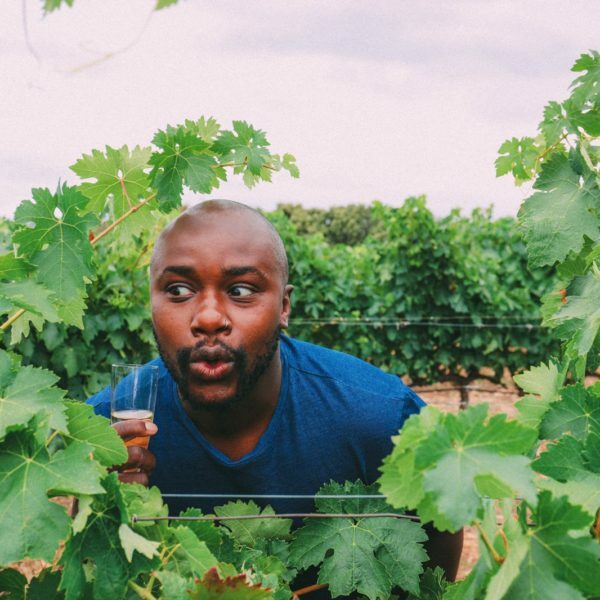 If you’re lucky, you’ll even spot some turtles too. Our excursion took around 3-4 hours and was totally worth it. It really is one of the things to do in Maui if you want to explore more. A luau feast is almost a staple and one of the things to do in Maui if you want to explore some of the island states beautiful heritage. Usually, the luau happens at some of the larger hotels and most of the larger ones organise this. We went to the Te Au Moana Luau, which we chose as it was with the backdrop of the ocean. Plus, they had Hawaiian underground oven cooking too. This is one of the most refreshing things to do in Maui. Hands down! Literally, I think we ate shaved ice every other day whilst we were on the island. 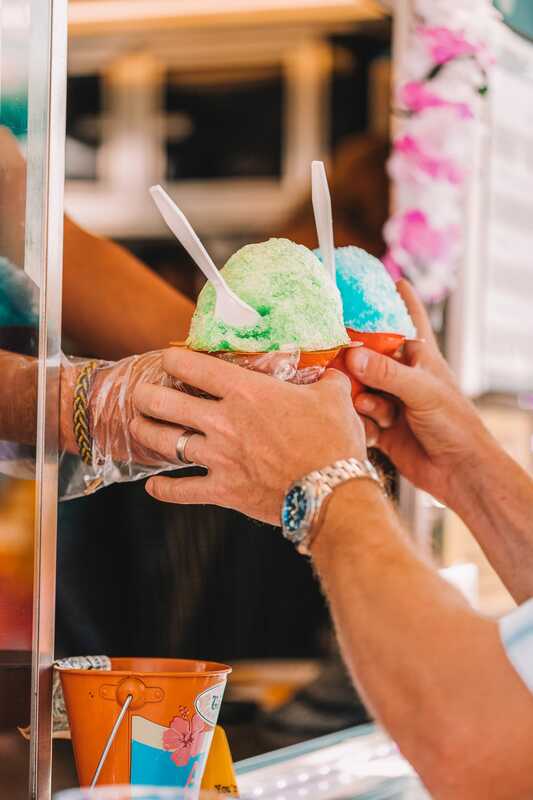 Now, you’ll find lots of spots selling shaved ice, but one of our favourites was at Ululani’s Shave Ice. Be prepared for a little queue as this place is pretty popular. Oh, and try it with li hing mui powder on top! It’s a local favourite (though, I couldn’t get to grips with the saltiness of it). Perched on Ku’au Cove, Mama’s Fish House is one of those special spots for a lunch or dinner. Now, bookings fill up real fast, so if you’re looking for a dinner, pop over to their website and book before your trip. At least a few weeks in advance. Alternatively, head across (like we did) at a more off-peak time. We popped over for a late lunch/early dinner at around 5 pm and was seated within 5-minutes. Once inside, make sure to try their stuffed mahi-mahi (with lobster and crab). It’s totally yummy, even if it’s a little more expensive than some of the other eateries on Maui. Nestled in a sleepy little town just belowHaleakalā National Park, the Hali’imaile General Store is one of the best things to do in Maui if you want some yummy treats. We’ve visited a few times and each time was totally amazing. Now, their menu changes every so often but take a look at their website for the latest dishes. Honestly, you won’t be disappointed. I totally bypassed the Mill House for food on our first visit to Maui. Boy, was that a mistake! I totally fell in love with this place on our second visit. Perched within the lush Maui Tropical Plantation, it’s a great place to go for a tasty dinner. Just remember, their positions can be pretty large. Oh, and make sure to gorge on their bao buns! 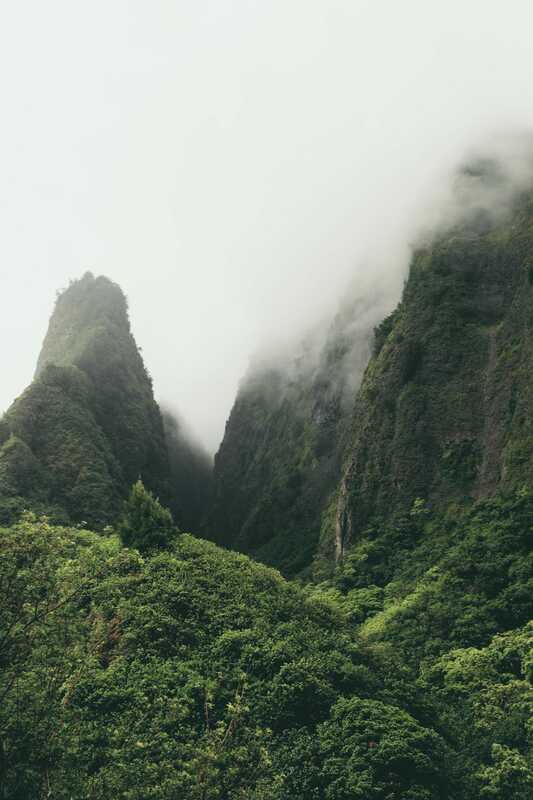 If you love natural landscapes, you’ll love a Hawaiian hike around the Iao Valley (or take the car to the visitor centre). Whatever you choose, make sure to pack plenty of waterproofs, it’s the wettest part of the island due to the sheer mountains that rise straight out of the ground. Now, in my opinion, it’s one of the best things to do if you want to experience the more untouched side of Maui. The trails are gorgeous and it’s incredible to see the valley itself (alongside the Iao Needle State Monument). 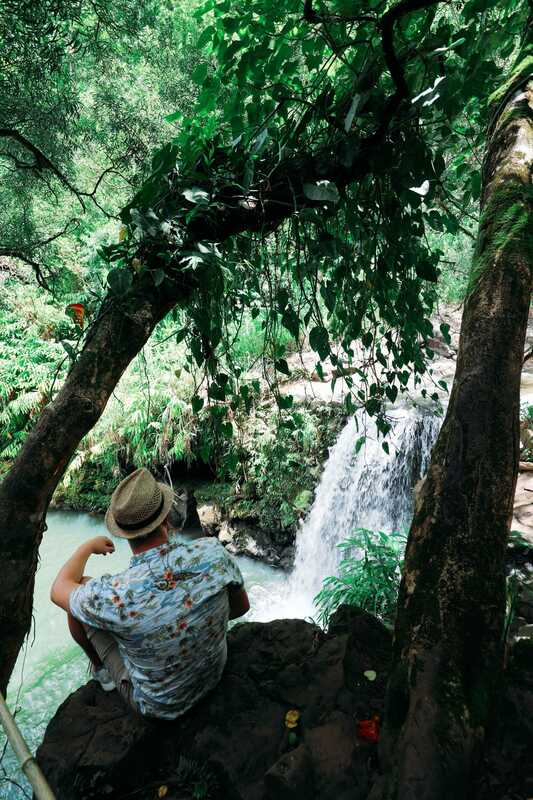 Right at the very top of the Road to Hana is Wailua Falls, a gorgeous spot that’s actually right next to the road and doesn’t require anything more than a few minutes ramble to the edge. It’s totally idyllic and very Jurrasic Park-esque. Without those pesky dinosaurs, obvs! Make sure to take your swimming gear and take a dip in the water below. Ysee Google Maps location, here. 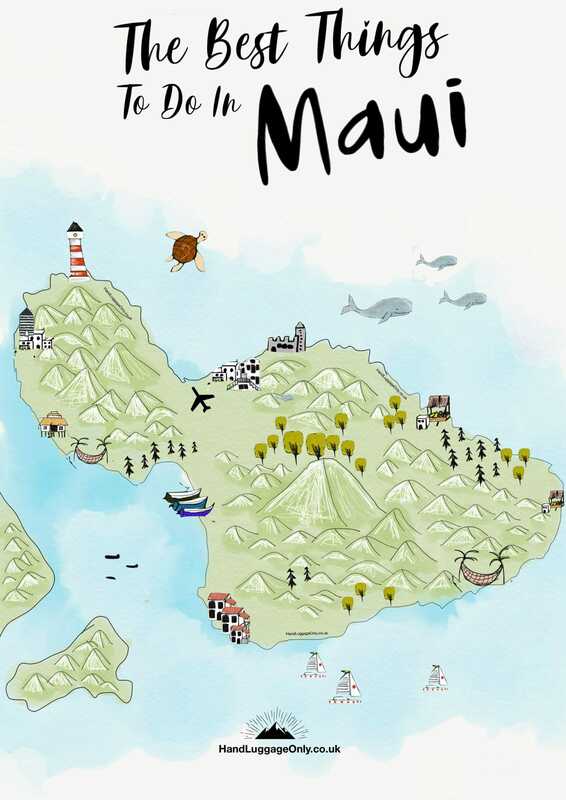 Lots of the best things to do in Maui centre around island life! And being an island, that usually means there’s a whole heap of beaches to explore, surf or just chill out at. Once you’re in Maui, head over to Kapalua Bay Beach for some of the gorgeous white sand, or the beach at Keawakapu and Kahekili. To be honest, there’s just a whole host to explore…you’ll have a great time! 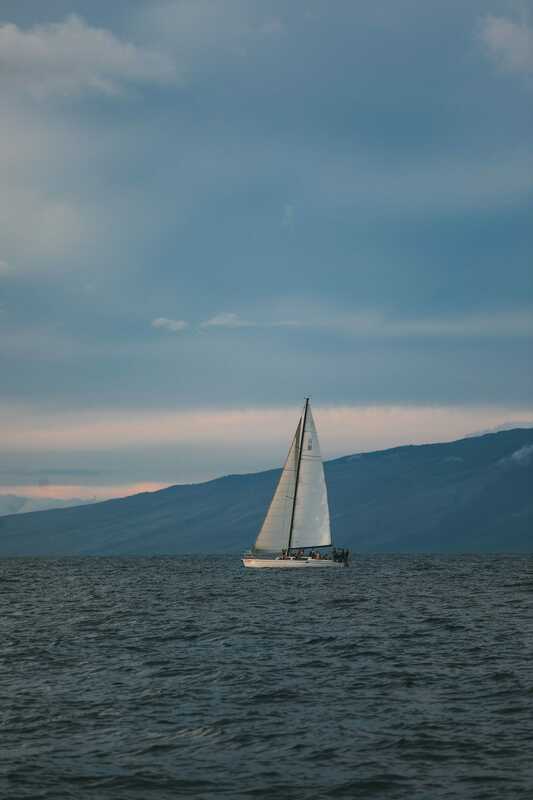 If you’re fancying a long day out at sea, pop over to Trilogy who have a whole heap of tours that set sail to explore the nearby Lanai island or even whale watching (when in season). 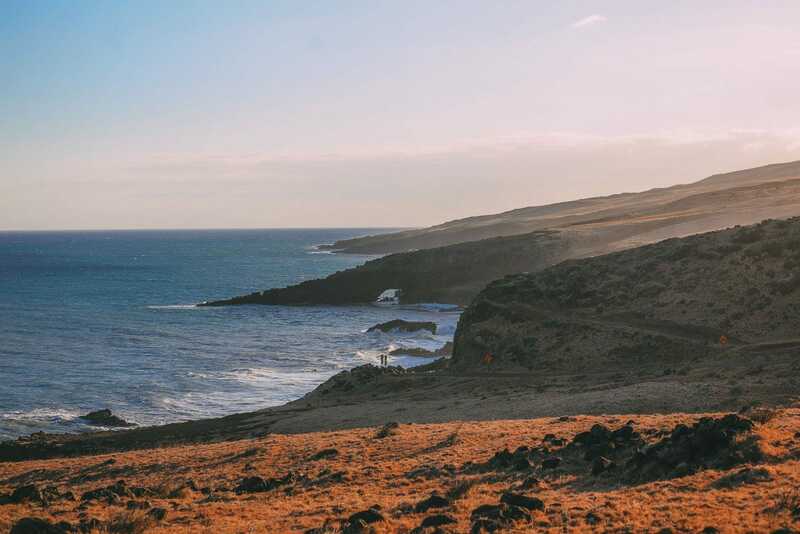 We decided to hop over to Lanai and explored the island, snorkelled the bay and even watched the dolphins curiously come right next to our catamaran. It was such a special experience and one of the best things to do in Maui. So, I know I mentioned the gorgeous sunset at Haleakalā but there’s also another great place that’s pretty easy to reach. 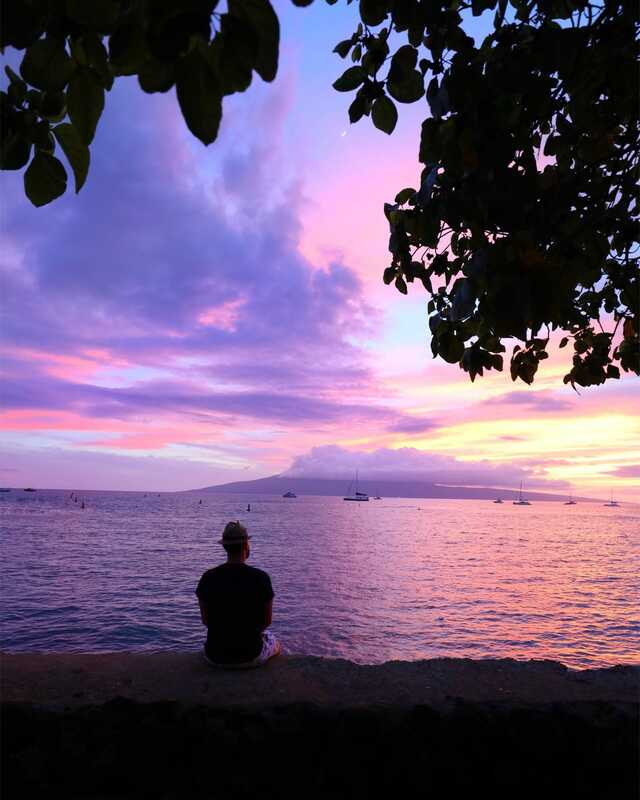 Head over to Lahaina and pop over to the harbour area itself around dusk. From here, you’ll see one of the best sunsets ever. Just make sure the sky is clear and you’ve grabbed a shaved ice to watch the day turn to night. The natural wildlife of Maui is just incredible! No more so than the giant turtles that call this region home. Now, you can technically see the turtles all across the shores of Maui (we did) but there’s a little area at Hookipa Park that the turtles regularly chill out at.